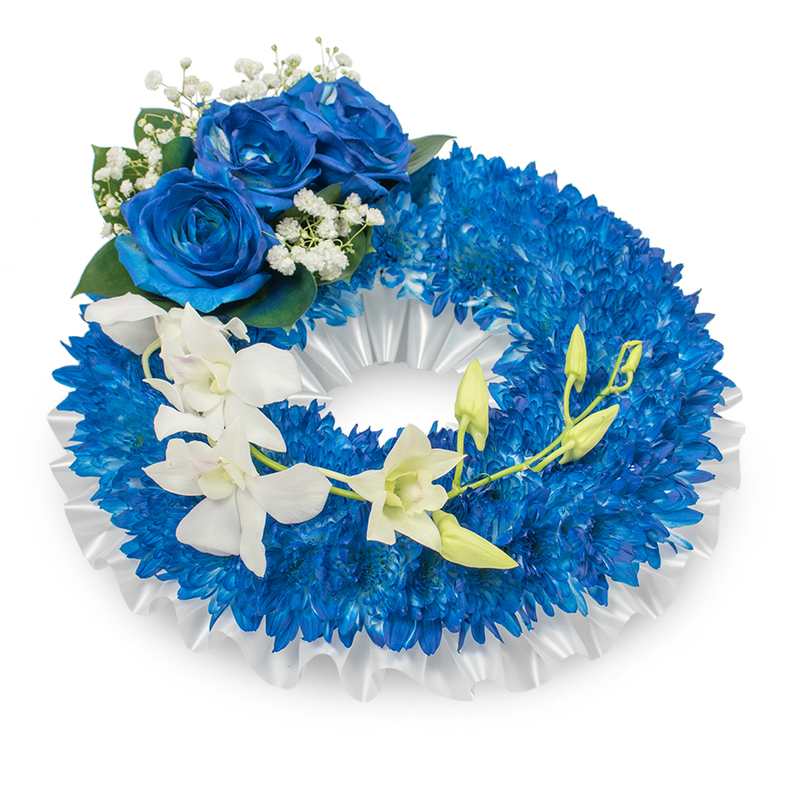 This wreath made of blue chrysanthemums, roses, dendrobium orchid and gypsophila is created to show true admiration for a person whose tender heart and sincere kindness would never be forgotten. 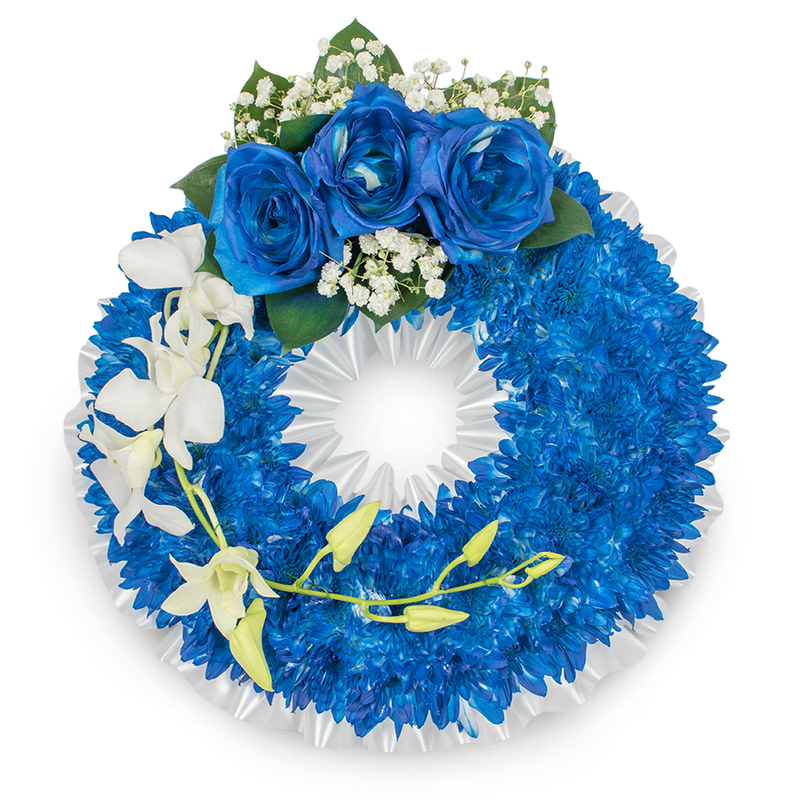 Handy Flowers prepared the best wreaths for the funeral of a friend's dad. It was my idea to order here and they did not disappoint. 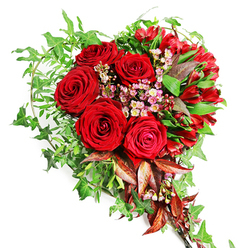 For all the times I have ordered flowers online, I have never met a company so dedicated to listening to their customers' needs like yours. When my delivery arrived, I felt like their florists knew what I needed. It's like they read my mind. I was thrilled. 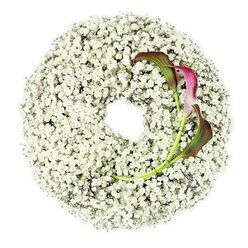 It was lovely ordering from this florist. All the flowers were perfectly arranged! 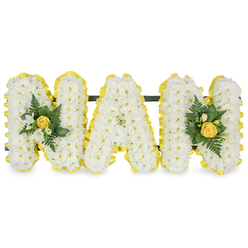 It was so easy to order the flowers I needed for the funeral. 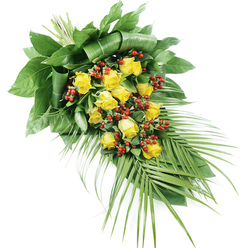 Chose the arrangement on the website, called and within 5 minutes my order was accepted. 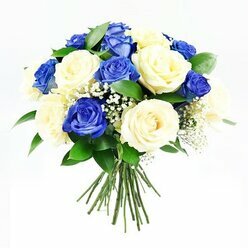 Thank you very much handy flowers! 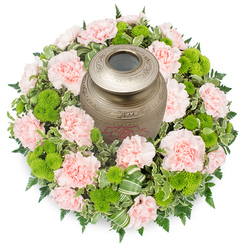 Good company for funeral flower arrangements. Time-efficient and reliable.